The 1000 PES 1200x1000 plastic pallet, is the extension of the Lightweight Monobloc plastic pallet family. 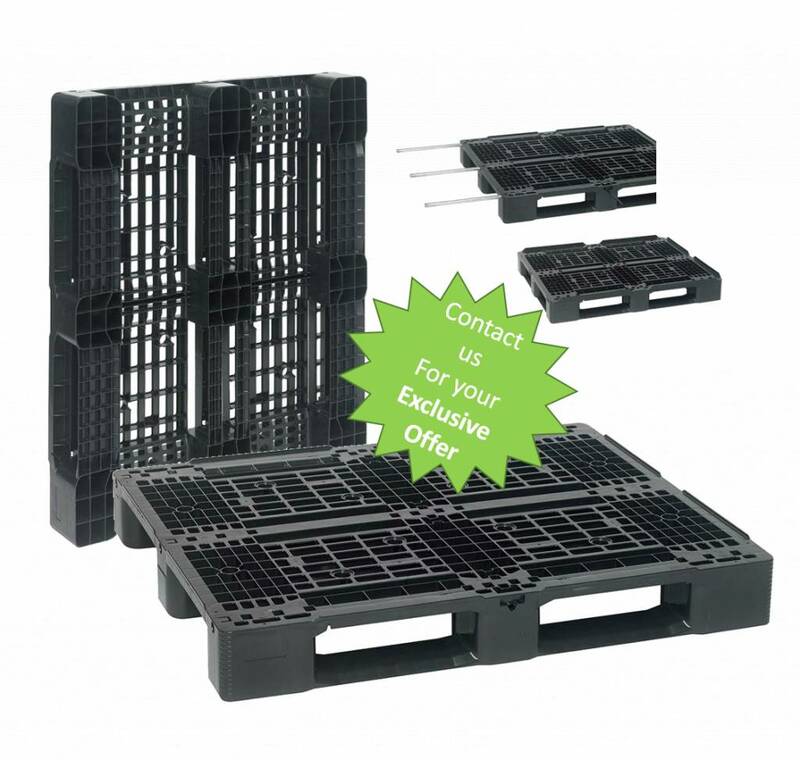 The industry size pallet is made from High-grade recycled HDPE and perfect for racking applications. Weighing only 13.5 kg, the plastic pallet is easy to handle and yet strong enough for a high payload. The 1000 PES pallet can hold up to 4000 kg of static payload and up to 1000 kg when in transit or dynamic load. When stacked in a rack, it has a payload of minimum 500 kg. The racking load can be increased from 500 to 900 and even to 1000 kg with the help of metal reinforcement bars. The plastic pallet’s open deck has a rounded T-structure, making the top side level smooth and easy to clean. The recycled HDPE makes it environmentally friendly pallet. Because of its reduced weight and the use of recycled materials, it contributes to lowering CO2-emissions and your carbon footprint. For all your applications , this multi-purpose ‘product of the month” plastic pallet is the best deal you can have on the market today. Now available in the Contraload Webshop for an exceptional introductory price until 31/03/18.